For 2019 the Old Gits are going to Italy to enjoy the roads and scenery of the Dolomites. We will be staying at the Hotel Villa Blu Cortina d'Ampezzo from Sunday evening through to the following Saturday morning. That gives us two days to ride down through Europe, and two days to ride back. The dates are set as Saturday 1st June to Sunday 9th June. The hotel in Cortina d'Ampezzo is booked from the evening of Sunday 2nd June to the following Saturday morning allowing 2 days to get to Cortina d'Ampezzo and 2 days to return home, although, some Old Gits are extendiing their holiday either before or afterwards. 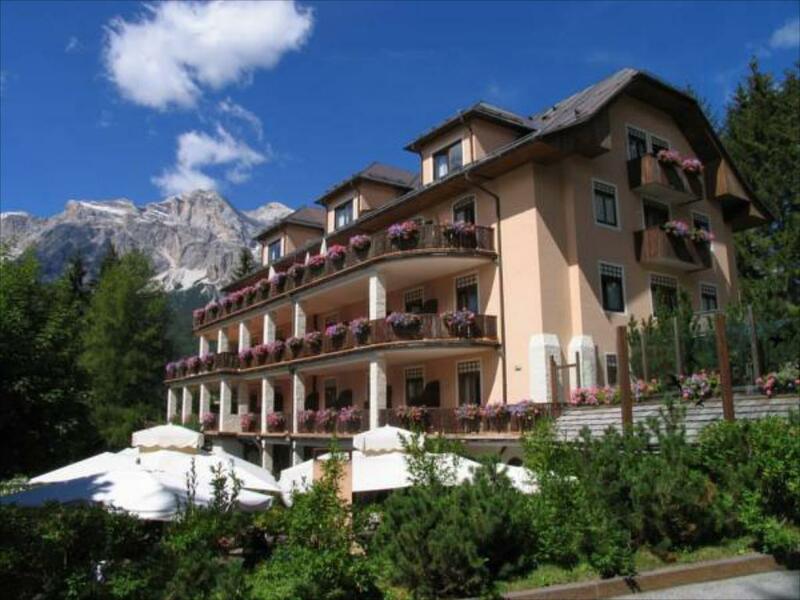 The hotel in Cortina d'Ampezzo will cost �495.41 for 6 nights, B&B, for a single occupancy of a double room. Parking in the hotel car park is included. Above that, there are the costs for crossing the channel, fuel and tolls to Cortina d'Ampezzo, overnight accomodation on the journey there and the journey back, and food, drinks and petrol bills for the week. Last year worked out at around �1600 per person but the only costs you will pay for are your own. Can I come on the next trip? Unfotunately, all 26 places on the trip are allocated. If you would like to be put on the reserve list in case a place should become available then please contact David Mc as soon as possible. What bike can I use? If you're interested in joining the Old Gits on future trips then please subscribe to our next trip e-mail list. For 2020 we will be heading back to Northern Spain. If you have any questions or would like more information about the Old Gits trips, or anything else to do with the Old Gits, then please contact us and we'll do all we can to help.